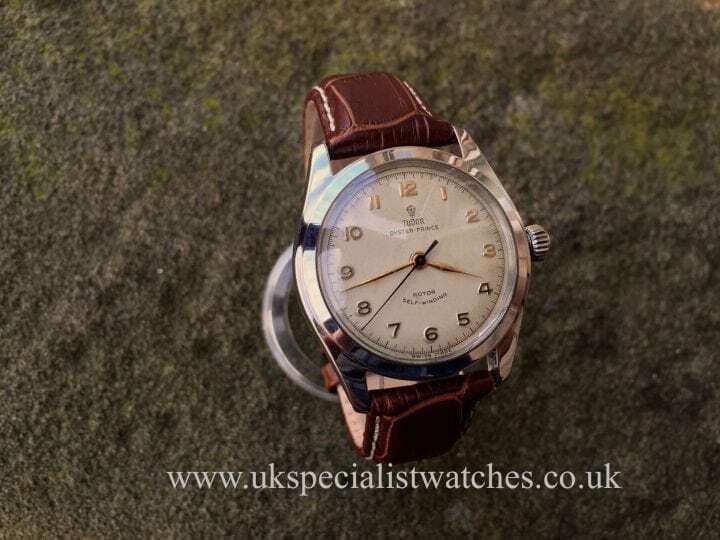 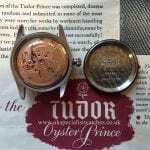 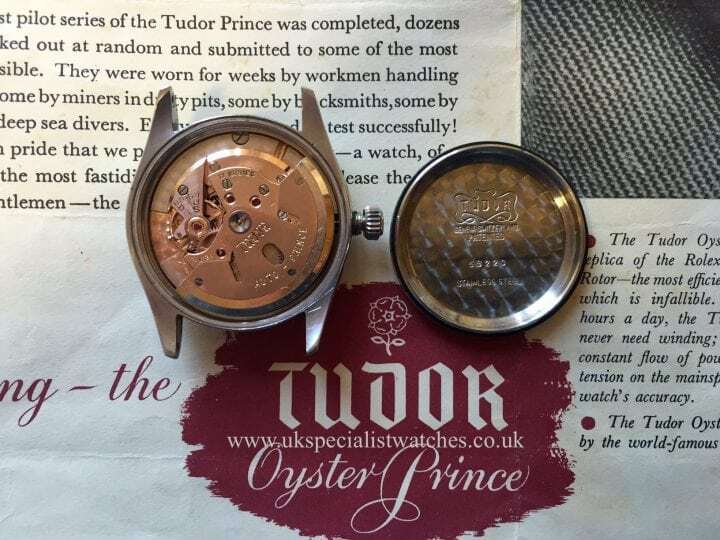 First introduced in 1952 the Tudor Oyster Prince was designed to be durable, strong and reliable in order to meet the needs of the users who were miners and construction workers in the most extreme conditions. 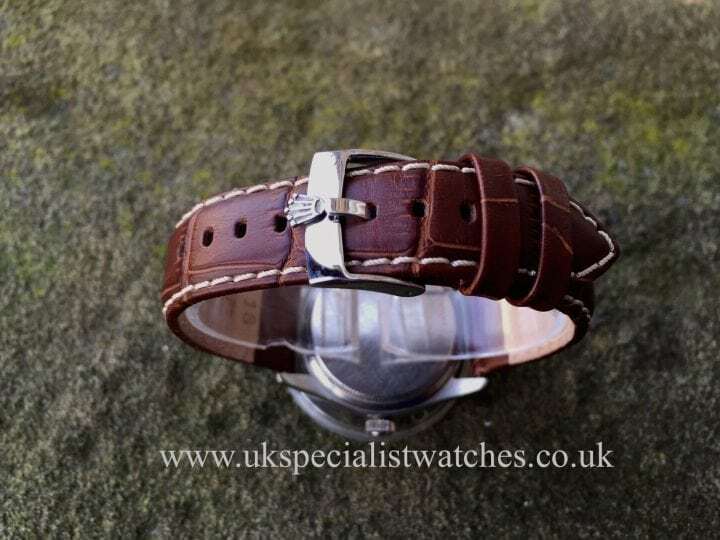 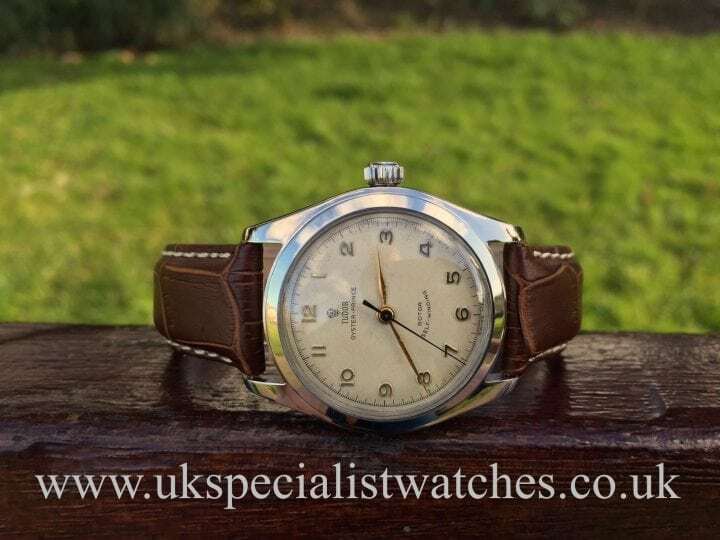 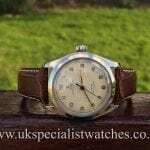 26 of these watches were given to be worn during the British North Greenland 13 month Expedition in 1952 organised by the Royal Navy, these watches were subject to temperatures well below -50 and were unavoidably submersed in water. 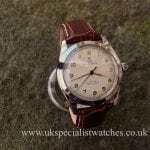 Another test of its durability was being worn 1000 miles of “merciless vibration” in the Monaco international trophy motorcycle race. 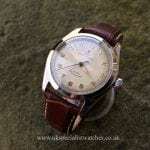 Thankfully our piece has had a much easier life which explains immaculate condition! 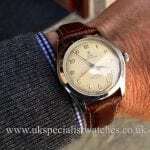 Mr H Wilsdorf (Head of Rolex at the time) stated that “The finest watch in its field that I have ever seen”. 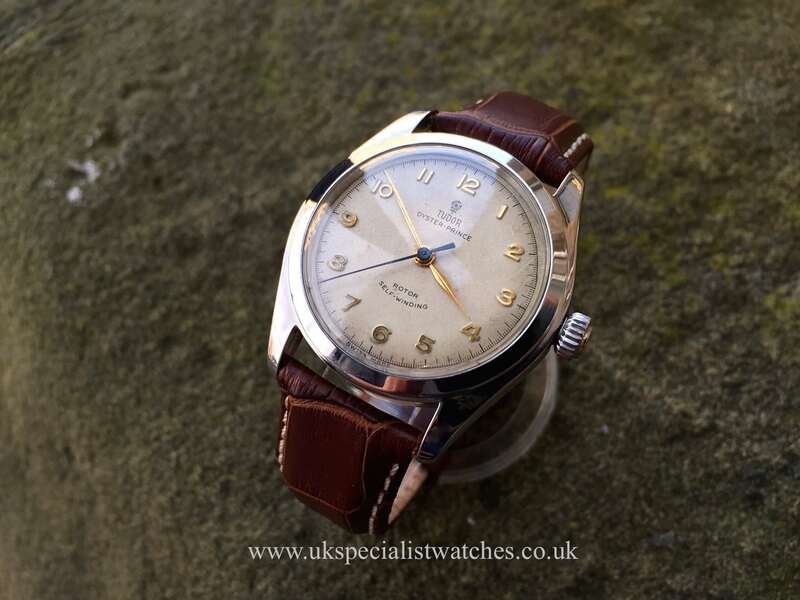 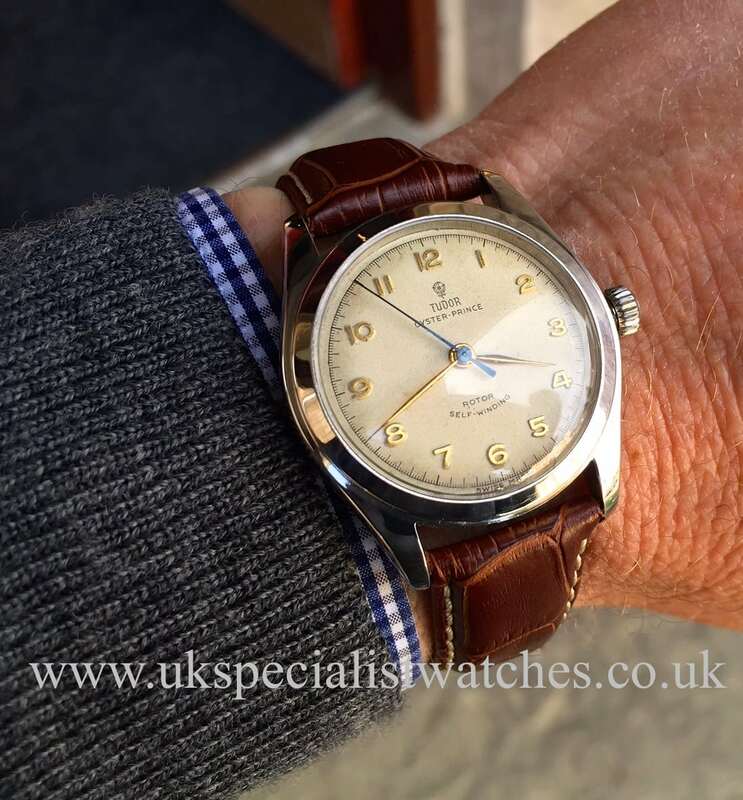 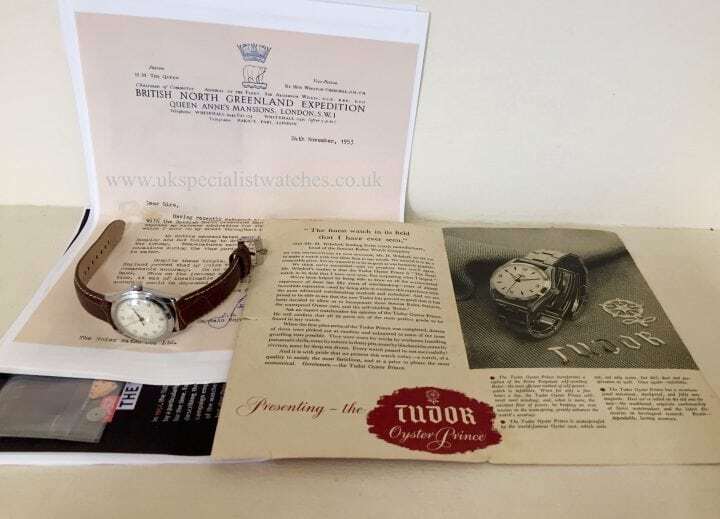 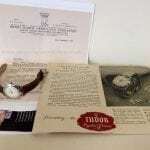 This one owner watch is totally original, immaculate stainless steel case, including the crown bearing the marks “Patent + Oyster”, ivory white dial with gold Arabic Hour markers and hands, blued steel second hand, self winding automatic movement, brown stitched croc strap with Rolex Buckle, Comes complete with original leaflet/pamphlet from 1952 and also history of the watches short 2 year production. 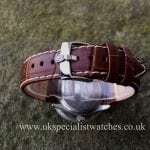 The watch has just returned from a full service with all parts retained.